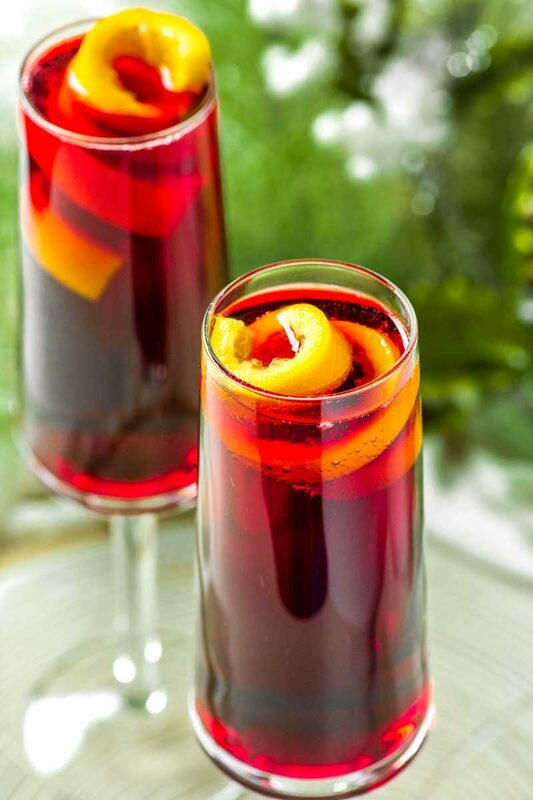 This poinsettia cocktail has the refreshingly tart taste of cranberry juice mixed with orange liqueur then topped with bubbling champagne and an orange twist. Holidays are made for being festive and merry, and what better way to do that than with a tasty holiday cocktail? And, really, what better cocktail could there be for the holidays than a poinsettia cocktail? 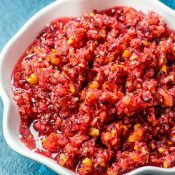 If the name alone hasn’t already brought a smile to your face, I guarantee that it’s beautiful red hue (and cranberry orange taste) certainly will! As you’re shopping for the ingredients in this drink, you might wonder: what’s the difference between a “champagne” and a sparkling wine? I mean, they look the same, so what’s the big deal? To keep this answer short and sweet, the difference has to do with where the drinks are made. Champagne is made in France and includes a few unique characteristics because of it. If you’re interested in reading more about that, check out this article: The Difference Between Sparkling Wine and Champagne. 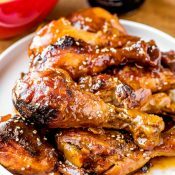 And as for this recipe, I use champagne because it has a “party” vibe and it’s super easy to find in stores (especially during the holidays). But the key here is that you don’t have to use champagne. If there’s a dry sparkling wine that you love, then by all means, pour it! This wine cocktail will taste just as good no matter which way you go. 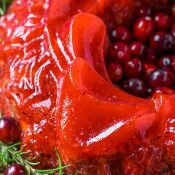 What type of cranberry juice should you use? To give this drink the best color, I’d recommend using 100% cranberry juice. 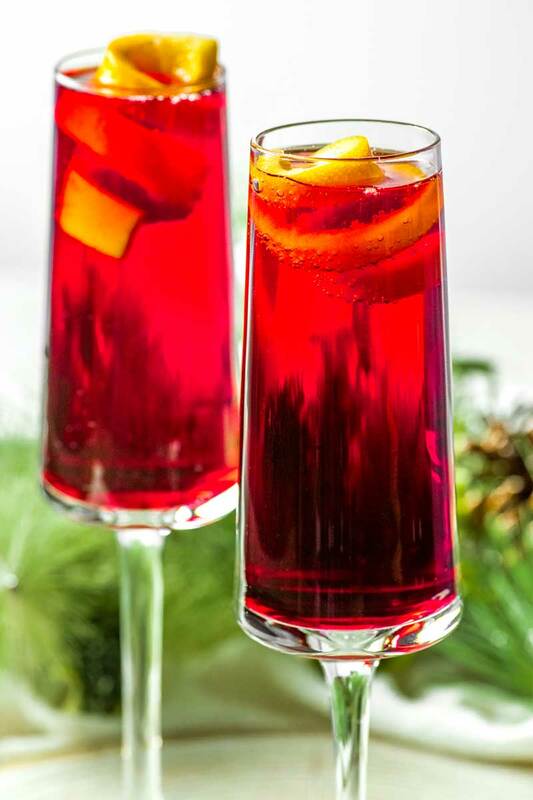 Avoid using a cranberry juice cocktail mix because the color won’t be as red and the color will likely appear very diluted once poured in the champagne flute. 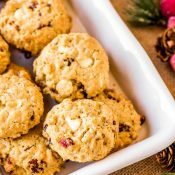 However, keep in mind that using 100% cranberry juice will bring the classic tartness to this drink that cranberries are known for. If that is a concern for you, you could coat the rim of the champagne flutes in sugar OR you could add a dash (maybe 1/4 of a shot glass) of simple syrup to sweeten things up. Does it matter which orange liqueur you use? I still have a lot to learn when it comes to spirits, so when a reader asked me this question, I had to do some research… and was surprised by the answer. Cointreau and Grand Mariner are my two favorite go-to orange liqueurs, but they do have some subtle differences that are worth nothing. For one, Cointreau is technically a triple sec, which means that it’s strong, sweet, and colorless. Triple sec is available in a couple other brands, but Cointreau seems to be one of the most popular. And as for Grand Mariner, it’s a brandy that has a distinct orange color. So, should you use Grand Marnier in place of Cointreau? The answer is that either one is fine, so long as you don’t have an aversion to brandy or need to worry about the color of your drink. Aside from that, both liqueurs will have a pleasant orange flavor that will do just fine in this cocktail. Recipes that measure in parts usually mean it’s written so that you can adjust the size of the drink to whatever you want and the measurements they give you (1 part, 1/2 part, etc) are so you can keep the ratio of the ingredients correct. This way the drink will taste the same no matter what size you make it. 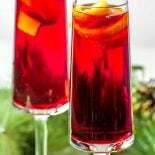 In a champagne flute, add Cointreau and cranberry juice. Pour in the champagne, filling the flute to just shy of the rim of the glass. Garnish with an orange twist, then serve. 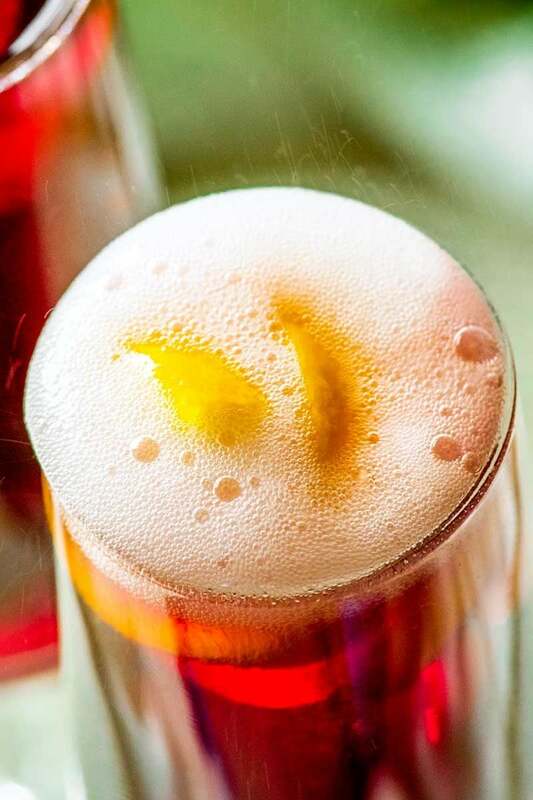 If measuring this drink in a champagne flute, use 1 standard shot glass of Cointreau followed by a 50/50 split of cranberry juice and champagne to fill the rest of the glass.